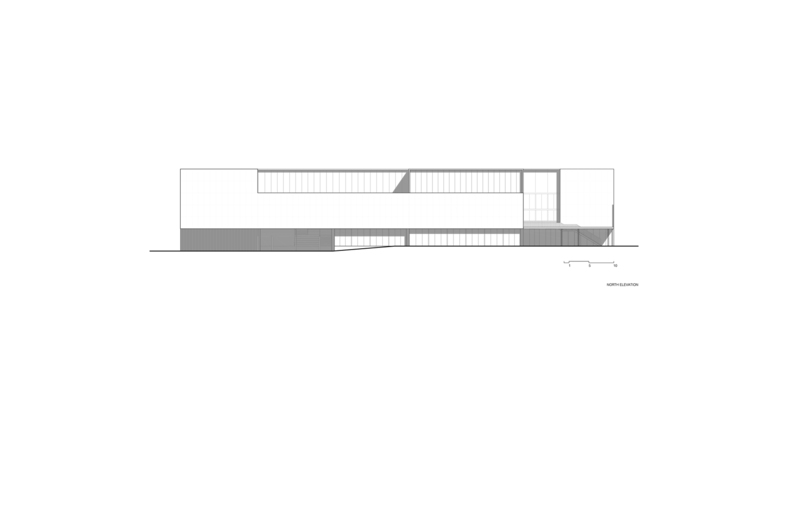 Peñín Arquitectos: Pablo Peñín Llobell. 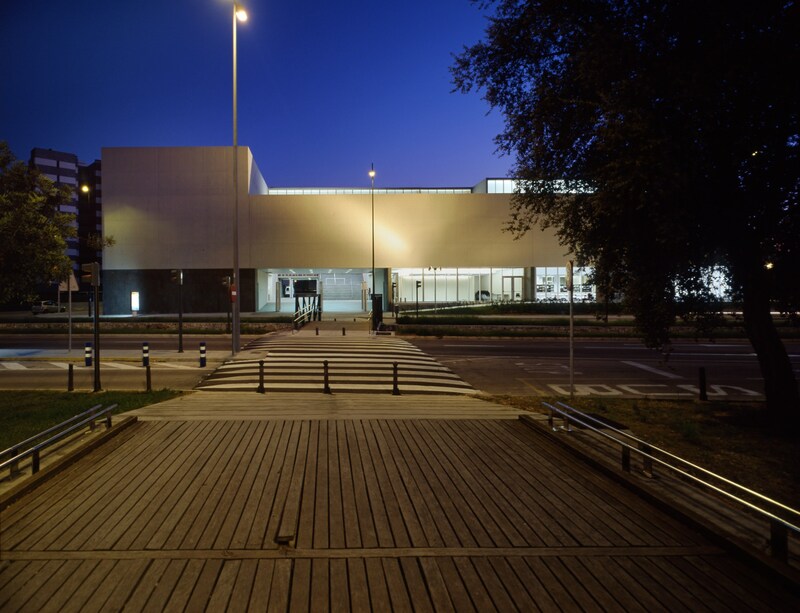 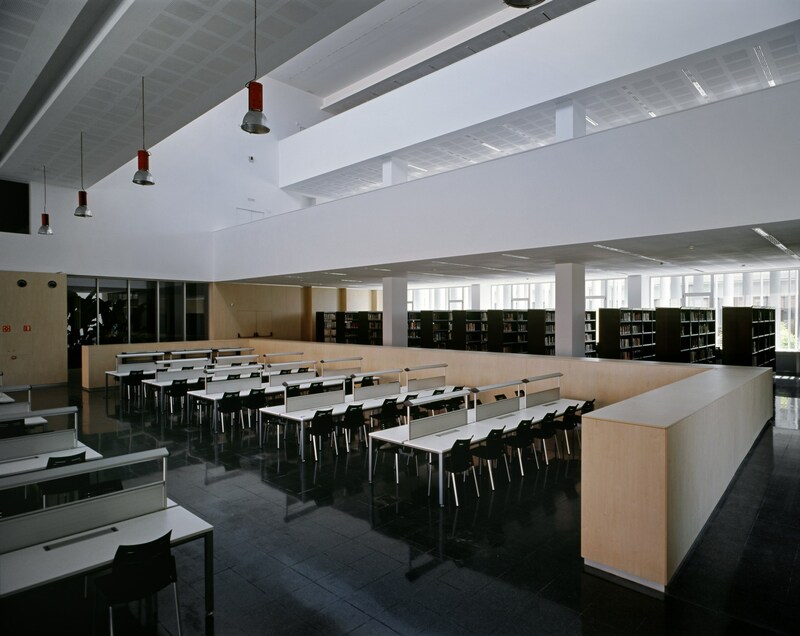 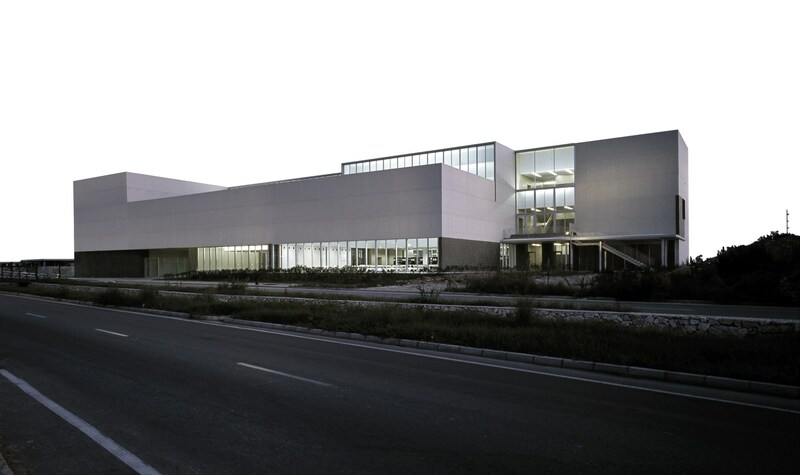 Library and research center of the University of Gandía is a single building with a main access to the North made of 15m, wide from the new boulevard that is conceived connecting with the original Campus. 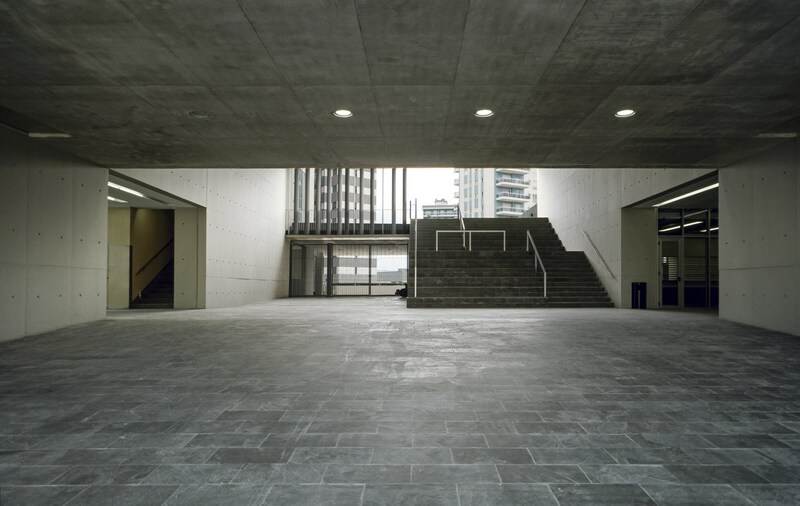 This access is like a interior public street, covered but opened, that allows to enter to the building or to go on towards the rest of the new buildings to be built and the parking area to the south. 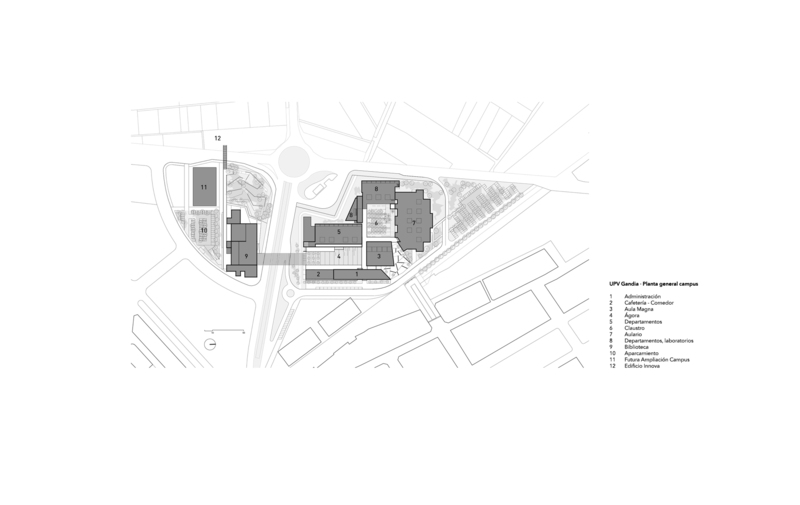 The strength of the building underlines its presence beside the rest of private surrounding buildings and draws a certain “Entrance gate” for the new campus. 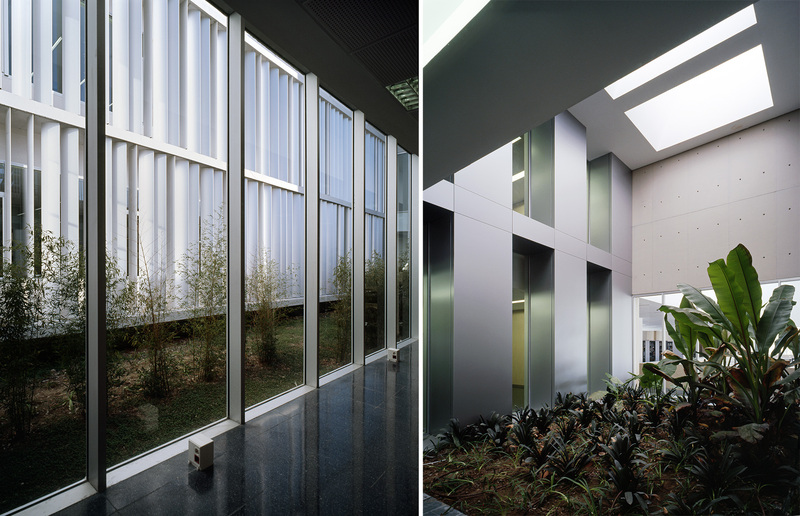 A building with a horizontal development is conceived illuminated by skylights and courtyards, where public scale is given by its dimensions and the big contrasts between blind and glassed areas. 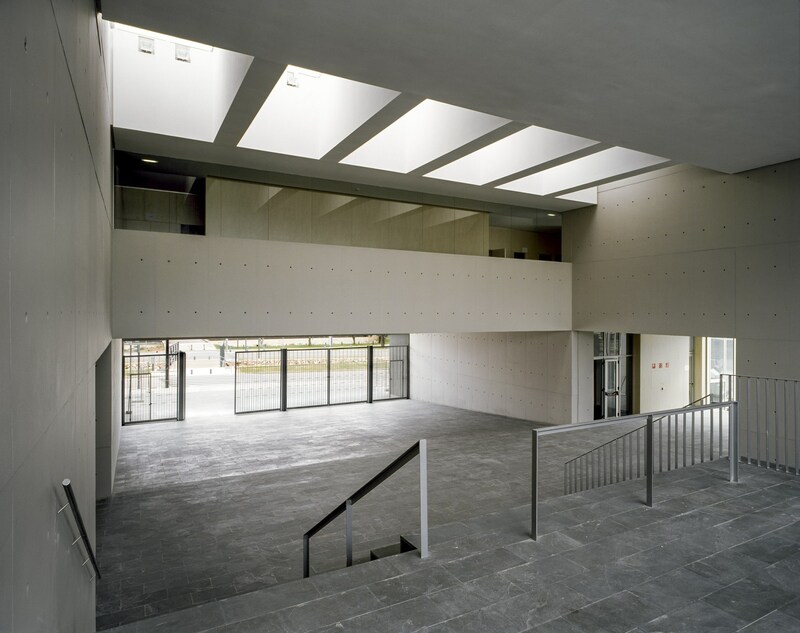 A concrete container is emptied with light through means of big glass areas to the North reinforced with vertical light and two lines of courtyards in East-West direction. 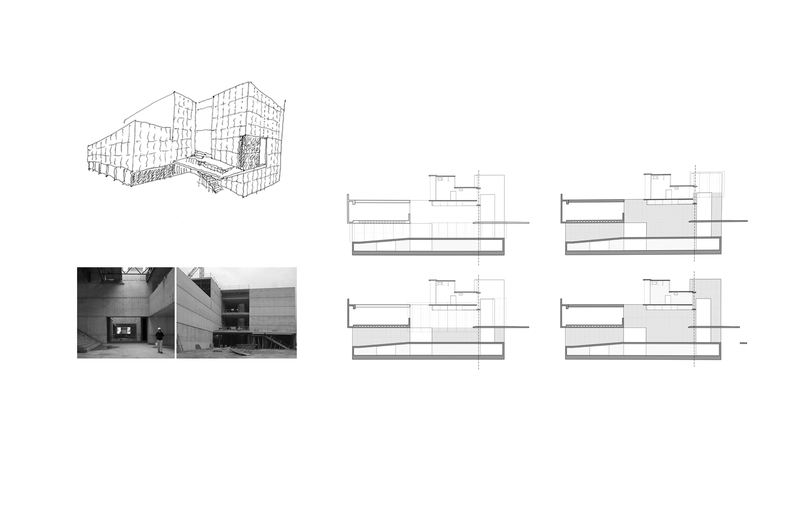 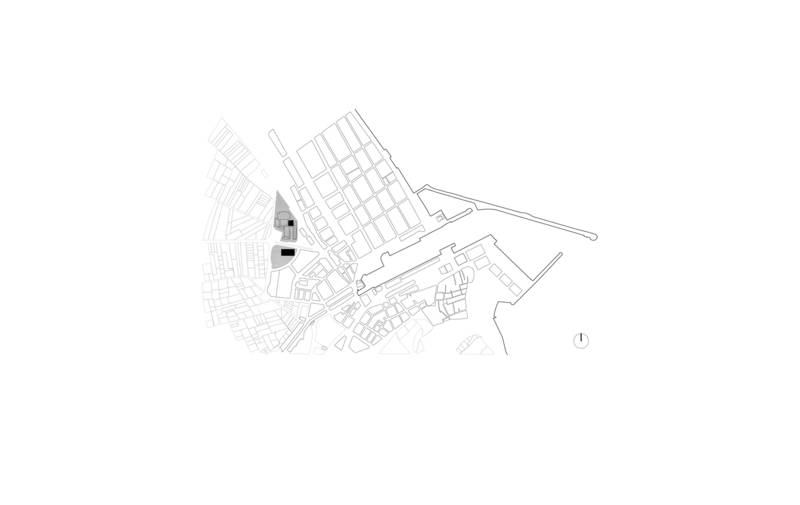 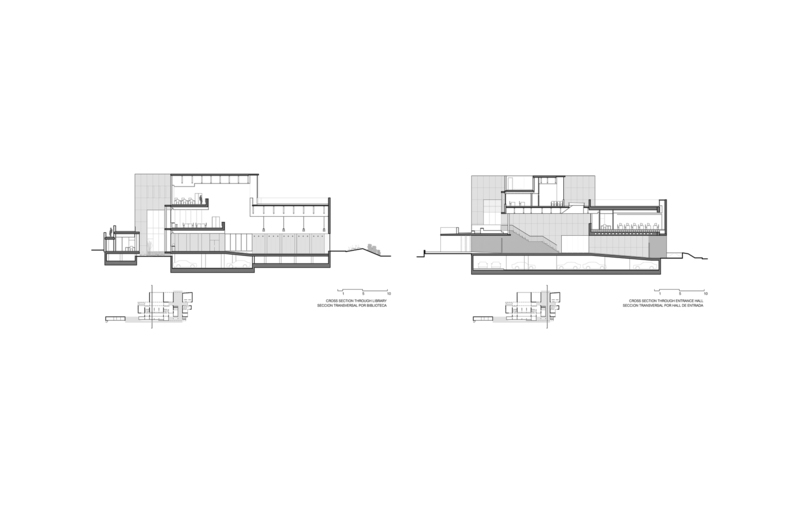 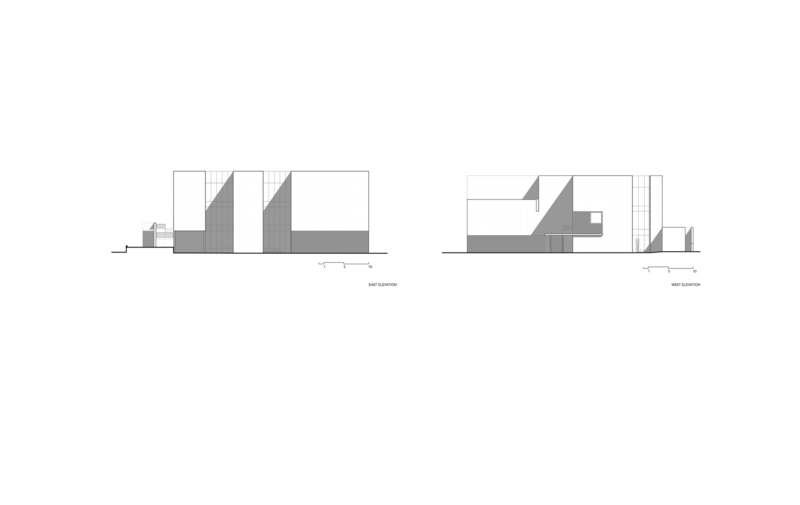 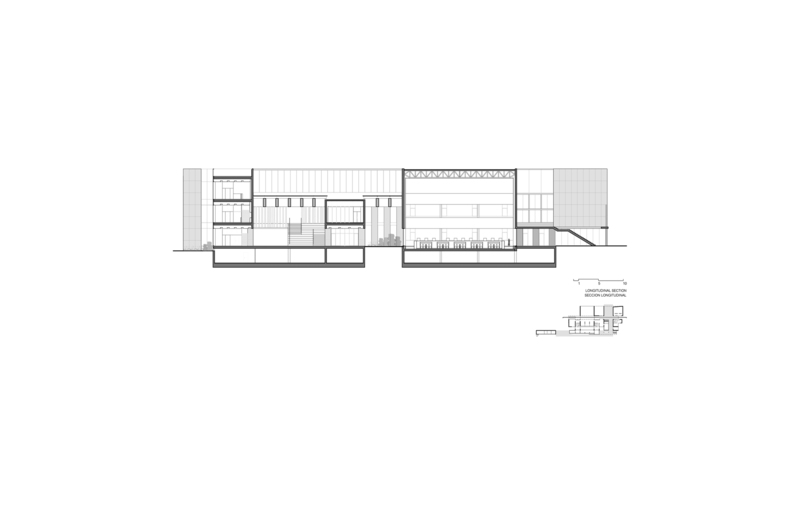 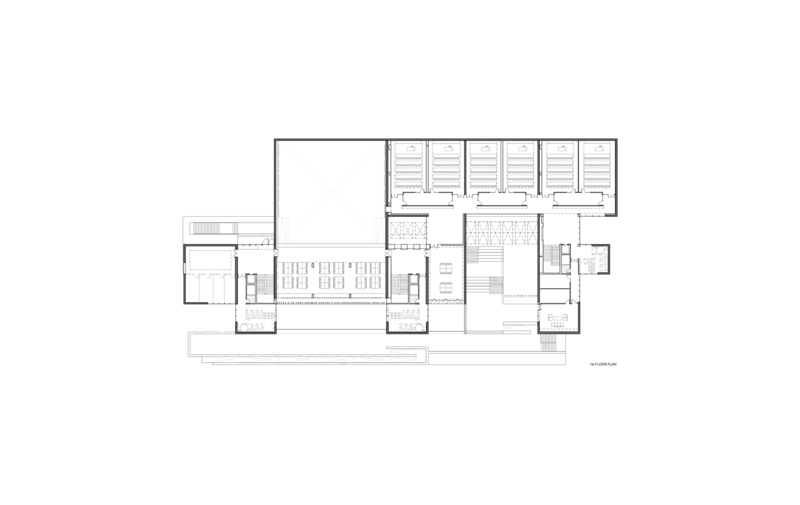 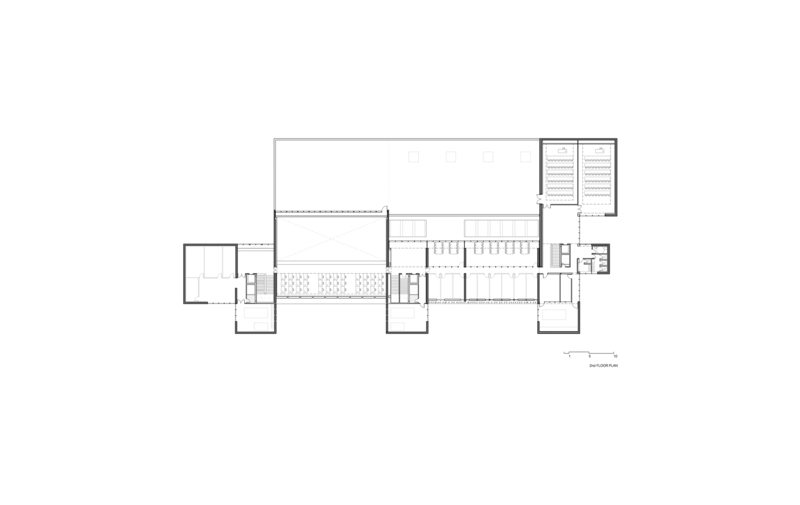 The cross section of the studio room for the Library, central piece of the program, is the one of bigger architectonic meaning and offers a cascade space until three levels where visual relation is reinforced with the users. 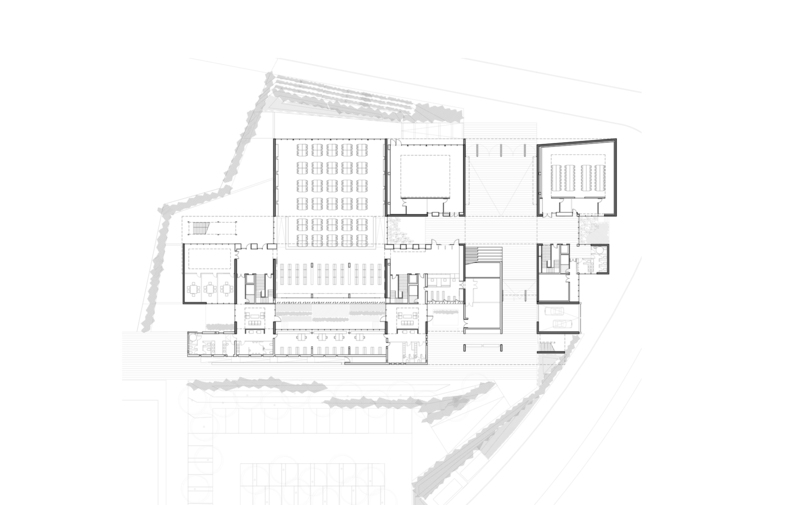 Other spaces such research and collective rooms are placed, far away from the main room, all of them articulated through 3 communication and services cores with large halls.